CUBA: PRIVATE, OWNED. 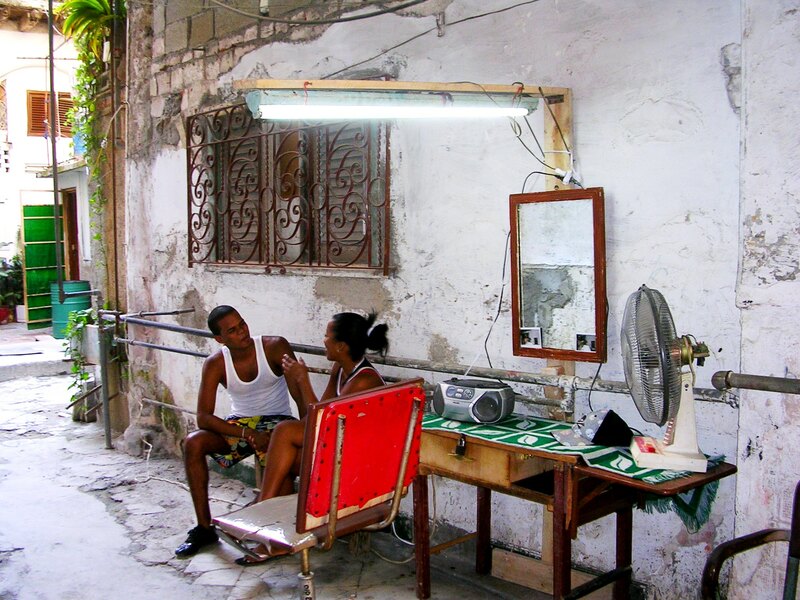 New rules make it even harder to do business in Cuba. Late on the evening of December 5th, after this piece had been edited and fact-checked but before it went to press, Margarita González Fernández, Cuba’s Minister for Work and Social Security, announced last-minute changes to new regulations governing Cuba’s private sector. Happily, the modifications address some of the more unpopular aspects of the new regulations, which were first announced in July. Of greatest significance is the change that will allow Cuban cuentapropistas, or the self-employed, to keep multiple work licences, rather than having to surrender all but one, as previously announced. (Bookshops with attached cafés will no longer be breaking the law.) The percentage of earnings that cuentapropistas must deposit into designated bank accounts has been lowered from 80% to 65% and the rule to prohibit restaurants from seating more than 50 patrons at a time has been dropped. The last-minute modifications are a sign that while the government is far from enabling the private sector to flourish, it is concerned with creating too much discontent and is, if ever so slightly, considering public opinion when making its decisions. 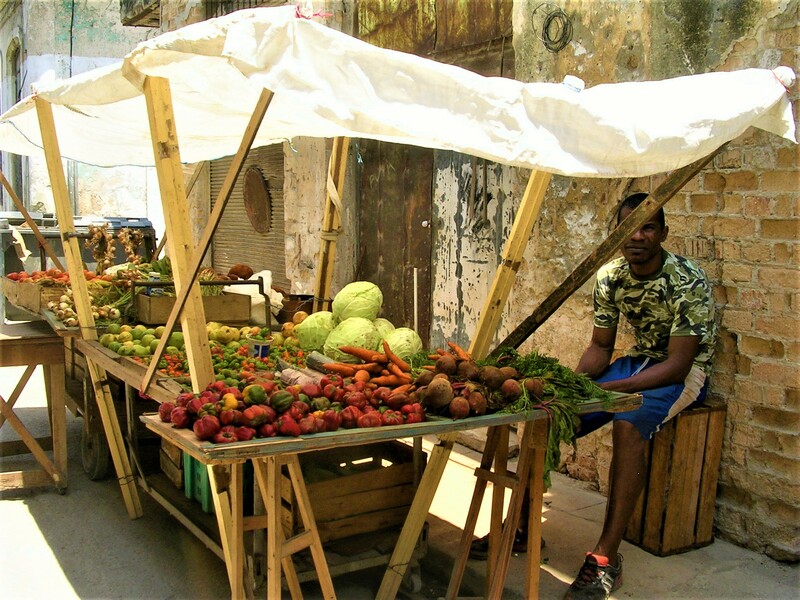 EIGHT YEARS ago Cuba’s government laid off a tenth of the country’s workforce—some half a million people—and encouraged them to start their own businesses. They did, with gusto. 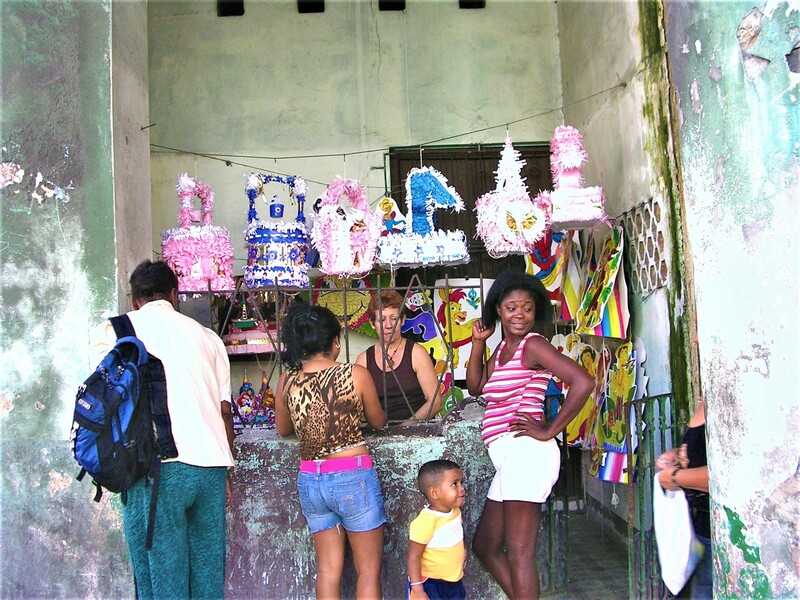 Nearly 600,000 Cubans have become cuentapropistas, or self-employed, opening restaurants, boutiques, repair shops, beauty parlours, bakeries and bars. They have renovated and rented out spare bedrooms in their homes, turned family cars into taxis and poured their savings into design studios, creating an additional 400,000 jobs and a much-needed, if still tiny, tax base. Many now earn much more. 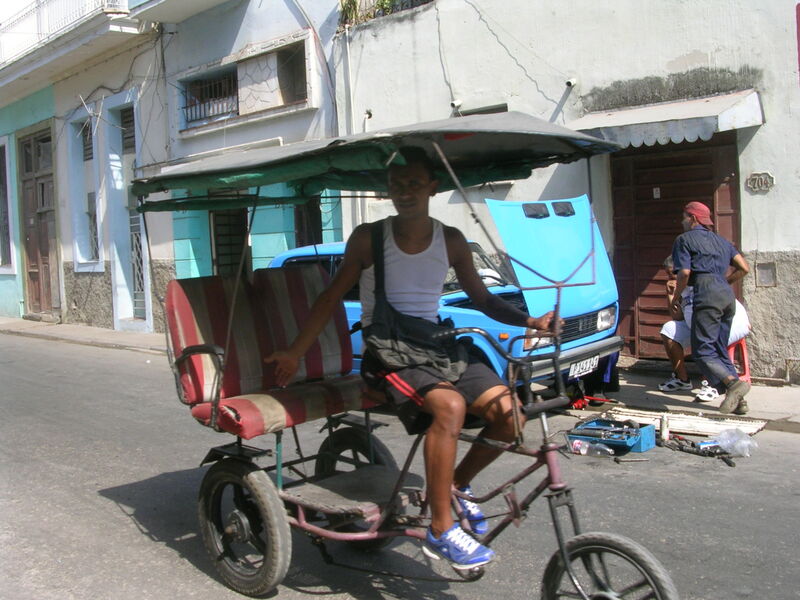 The average state wage is 848 Cuban pesos ($33) a month; a taxi driver with a decent ride can make more than ten times that. But new regulations, which run to 129 pages and take effect on December 7th, look likely to damage the country’s nascent private sector. They come at a particularly bad time for Cuba’s economy, which is already suffering from stagnant exports, broke allies and disappointing tourist numbers. The most devastating new rule is one that makes it illegal for individuals to hold more than one licence to engage in private business. 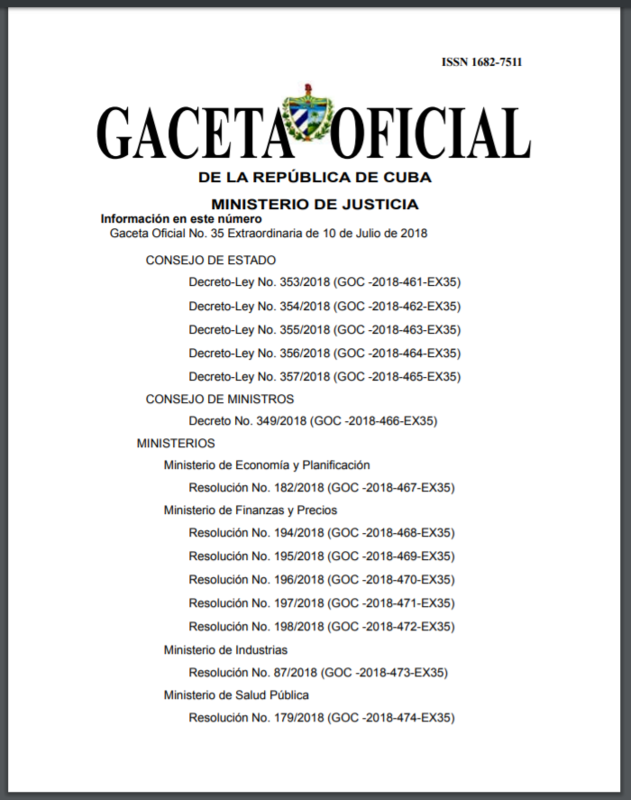 Cuba issues licences in only 123 categories—and if a licence for a job does not exist, neither does that job, at least officially. There is little logic to the system. 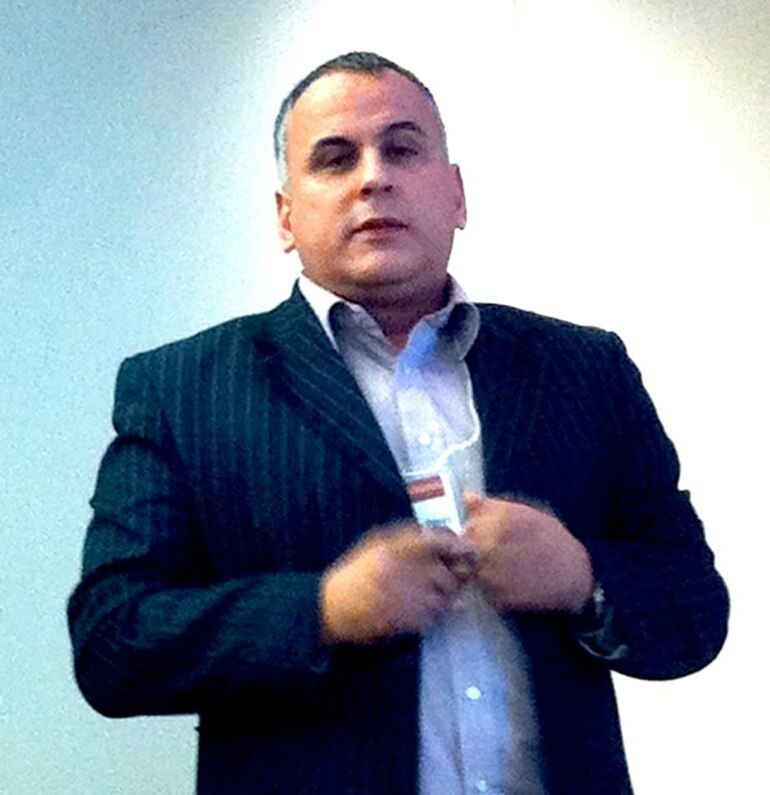 A single licence does the trick for any computer-related business, allowing a cuentapropista to provide everything from software to online marketing services. Separate licences for massages, manicures and braiding have been consolidated into one, to the delight of salon owners. But other categories are narrower: selling hardbacks and brewing coffee require two separate licences, effectively making bookshops with cafés illegal. Restaurants that double up as bars face the same fate. Officials at the Ministry of Labour and Social Security say that the new regulations are meant to discourage black-market trading and tax evasion, while also reducing inequality. The expansion of private businesses over the past few years has indeed contributed to these problems. But the government’s proposed solutions will either have no real effect—business-owners will acquire licences in the names of friends or family—or exacerbate them. Take wholesale markets. There is only one on the island. Most businesses must rely on state-run shops, which offer a limited range of goods, or acquire products on the black market. The government’s answer is to require cuentapropistas to open bank accounts so that it can track where they spend their money. Drivers of almendrones—ride-shares that substitute for a functioning public transport system in Havana—will be given magnetic cards with which they are expected to buy a set quantity of “subsidised” petrol every month. But since subsidised fuel costs more than the black-market stuff, many drivers are simply handing in their licences. 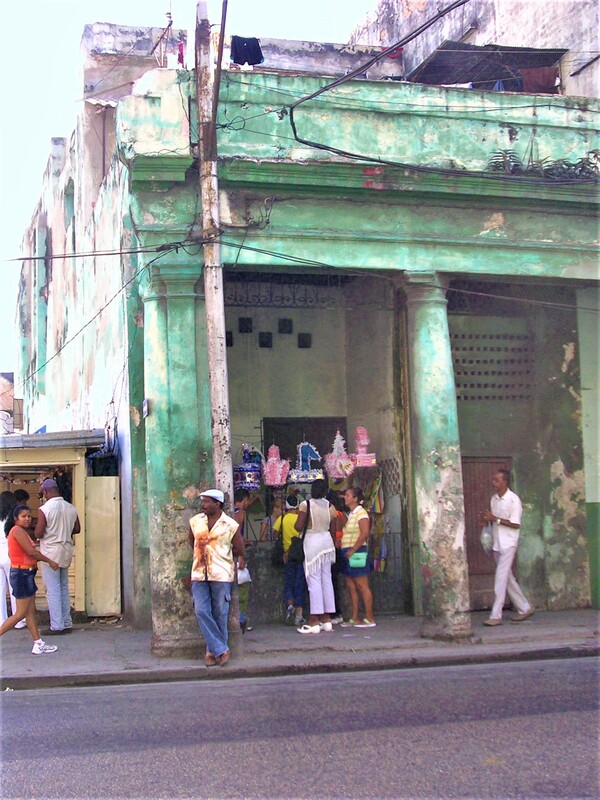 Cubans who rent out rooms or run other small businesses, such as restaurants or repair shops, must deposit 80% of their income in a designated bank account. They are understandably loth to do so in a cash-based economy where simple transactions at the bank can take hours. They can withdraw money from this account to cover business expenses and will be given a card that entitles them to small discounts when they buy items for business. But few stores accept cards. The state has also found a novel way to tackle the concentration of wealth: restaurants are now limited to seating only 50 patrons at a time, ostensibly to keep owners from consuming too many resources. And under a new tax scheme, any cuentapropista who wants to hire more than 20 workers must pay onerous wages for each additional employee. The government is happy for people to start businesses, so long as they do not make too much money. A few helpful new rules have snuck in among the enterprise-throttling ones. Employers will be required to have formal contracts with their workers. They face the suspension of their licence if they are found to be discriminating on the basis of race, sexuality or disability. And business-owners no longer need to close up shop if they fall sick or have a family emergency; they can appoint an interim manager and take some time off. Hypermedia, 10 de Diciembre de 2018. Original from the book entitled Entrepreneurial Cuba, The Changing Policy Landscape, Lynne Rienner Publishers, Boulder Colorado. En el verano de 1992, el gobierno cubano despenalizó la posesión y el uso del dólar estadounidense, legalizando así una actividad realizada por un gran número de personas. Esta medida aceleró el proceso de “dolarización” de la economía y estimuló y legitimó aún más la búsqueda popular del dólar mediantes actividades de la economía clandestina. Posteriormente, el 8 de septiembre de 1993, entró en vigor el Decreto Ley 141 que legalizaba el trabajo autónomo, bajo el término “trabajo por cuenta propia” (Granma). Esto representó un cambio de política decisivo, que permitió a estas microempresas salir de la clandestinidad y funcionar de manera más eficaz, eficiente y rentable. Con la aparición de la microempresa fuera de la clandestinidad en aquellos años, comenzó a evidenciarse una suerte de jerarquía. El espectro de escala y éxito sería más pronunciado en las escasas ocupaciones de mayor envergadura y dinamismo, especialmente: las casas particulares, los taxis, y los paladares que estaban conectados con la floreciente industria del turismo. La ley del trabajo por cuenta propia se creó originalmente para aplicarse a los cubanos que ya brindaban servicios a otros ciudadanos, por lo cual la mayoría de las licencias y las tarifas fijas mensuales se pagaban en pesos. Sin embargo, con la expansión acelerada del turismo a lo largo de la isla en la década de 1990, algunas empresas, especialmente en las áreas de los servicios alimenticios, el transporte, y el alojamiento, comenzaron a brindar servicios a extranjeros y a cobrarles en dólares americanos. Como consecuencia parcial, se añadieron algunas modificaciones a la legislación original entre 1995 y 1997, incluyendo la expansión de los servicios alimenticios (1995), el transporte (1996) y el alquiler de casas particulares (1997), en la lista de ocupaciones permisibles, puesto que los cuentapropistas de estos tres sectores, a menudo, brindaban sus servicios a extranjeros y obtenían ingresos en dólares. Estas tres ocupaciones —el transporte, el alquiler de habitaciones y los servicios de alimentos — se convirtieron rápidamente en las ocupaciones privadas más populares durante el “Período Especial”. Y una vez más reemergieron como las más comunes —junto a los trabajadores contratados—, luego de la reapertura y la expansión significativa del trabajo por cuenta propia después de octubre de 2010. 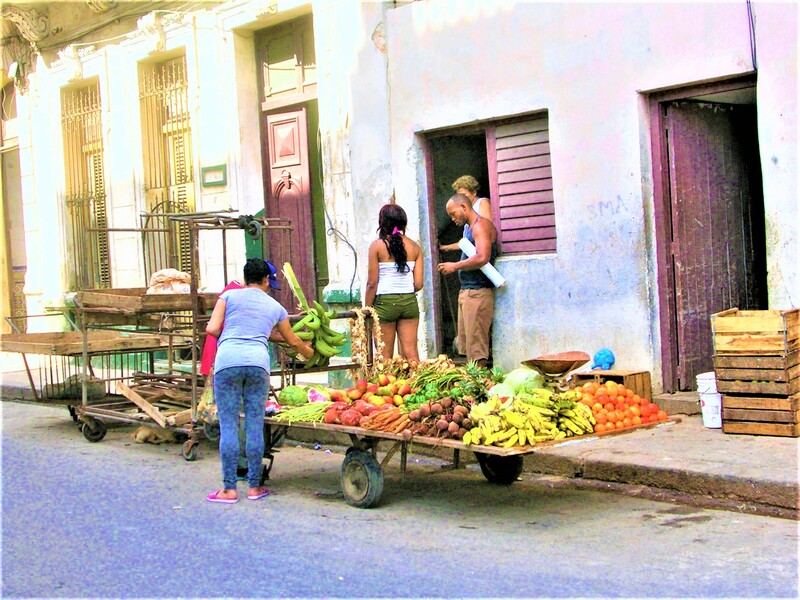 CUBA MOVES BACKWARDS: NEW REGULATIONS LIKELY TO IMPEDE PRIVATE SECTOR GROWTH. In a leap backwards, the Cuban government has published a massive compendium of tough new regulations governing the island’s struggling private enterprises. The new regulations—the first major policy pronouncement during the administration of President Miguel Díaz-Canel—appear more focused on controlling and restricting the emerging private sector than on stimulating investment and job creation, more concerned with capping wealth accumulation than in poverty alleviation. Many small businesses that cater to foreign visitors are already suffering from Trump-era restrictions and travel warnings that have decimated the U.S. tourist trade in Havana. But the new regulations are more a product of domestic Cuban politics than foreign pressures. On a positive note, the Cuban government promises to renew the granting of licenses for many categories of private businesses by year-end, repealing the extended suspension announced last summer. But the new regulations greatly empower government rule-makers and intrusive inspectors, casting a gray cloud over the island’s business climate. Many existing businesses are likely to retrench if not close altogether. The private sector grew dramatically in recent years, to include nearly 600,000 owners and employees by official figures, with many more enterprising Cubans working informally; in contrast, the state sector stagnated and further decapitalized. Indeed, many thriving private businesses began to compete successfully against state entities, notably in restaurants, bars and night clubs, guest houses, construction, and transportation. The healthy wages paid by profitable private firms often eclipsed the meager salaries paid to disgruntled government officials and factory workers. The extensive, highly detailed regulations, which go into effect in December, read like “the revenge of the jealous bureaucrat.” Drawing on a multitude of ministries and operating at all levels—national, provincial, and municipal—interagency committees will now be empowered to authorize, inspect, and regularly report upon private businesses under their jurisdictions. The regulations are replete with astoundingly specific performance requirements and innumerable legal breaches that seem crafted to allow government officials wide discrimination to impose heavy fines (or extort bribes), suspend licenses, and even seize properties. The regulations could help shield state enterprises from unwanted private competition. The very ministries that stand to lose market shares are in charge of approving licenses in their sector. For example, the ministry of tourism has the lead in judging licenses for private guest houses. Appeals are possible, but to administrative authorities, not to judicial courts. Government agencies are also seeking to reassert control over the island’s vibrant artistic communities. The regulations prohibit artists from contracting directly with private restaurants and bars; rather they must be represented by public-sector entities that charge commissions up to 24 percent of revenues. Moreover, performers must not use “sexist, vulgar or obscene language,” which if enforced could imply the banning of popular hip-hop and reggaeton songs and videos. Perhaps most telling are the restrictive rules squarely aimed at inhibiting private capital accumulation. In a sharp turn from past practice, Cubans will now only be allowed one license for one business, effectively outlawing franchising and diversification. Capacity at restaurants and bars is capped at 50 guests. Most biting, the new regulations establish an upward-sloping wage scale (whereby wages rise as more workers are hired); hiring more than 20 workers becomes prohibitively expensive (six times the average wage). Unlike in the past, employers will now have to pay taxes on the first five workers hired as well. Many private businesses must also record their transactions (revenues and expenditures) in an account at a government financial institution and keep three months of prospective taxes on deposit. Intended to reduce under-reporting of income, this measure will significantly raise the effective rates of taxation. Investors must also explain their sources of funds. In a country where political authority is unchecked, these financial impositions alone will discourage many potential entrepreneurs. The Cuban authorities have repeatedly asserted their interest in attracting foreign investment, to compensate for weak domestic savings. However, foreign investors are likely to view these new regulations, even though they apply to domestically-owned firms, as indicative of an official wariness if not hostility toward private enterprise in general. Risk-averse foreign investors will also note that the Cuban government is quite capable of precipitously altering the rules of the game. The new regulations are the first major policy initiative promulgated during the administration of President Miguel Díaz-Canel. Many of the resolutions were approved by the Council of State under Raúl Castro, prior to Díaz-Canel’s inauguration in April, but nevertheless were issued during his young tenure. Not a good sign for those hoping that Díaz-Canel, 58 years old and ostensibly representing a younger generation, might quickly place his own imprimatur over the extensive state apparatus. The new regulations make one thing abundantly clear: The Cuban government, state-owned enterprises and the ruling Cuban Communist Party do not want to risk major competition to their own interests—economic, commercial, and political—from a potentially capital-rich, diversified emerging private sector. Apparently, perceived interests in security and stability have overruled Cuba’s own declared economic development goals. The Cuban government issued new measures on Monday to limit the accumulation of wealth by Cubans who own private businesses on the island. The provisions stipulate that Cubans may own only one private enterprise, and impose higher taxes and restrictions on a spectrum of self-employment endeavors, including the arts. The government announced that it will start issuing licenses to open new businesses — frozen since last August — but established greater controls through a package of measures intended to prevent tax evasion, limit wealth and give state institutions direct control over the so-called cuentapropismo or self-employment sector. The measures will not be immediately implemented. There is a 150-day waiting period to “effectively implement” the new regulations, the official Granma newspaper reported. 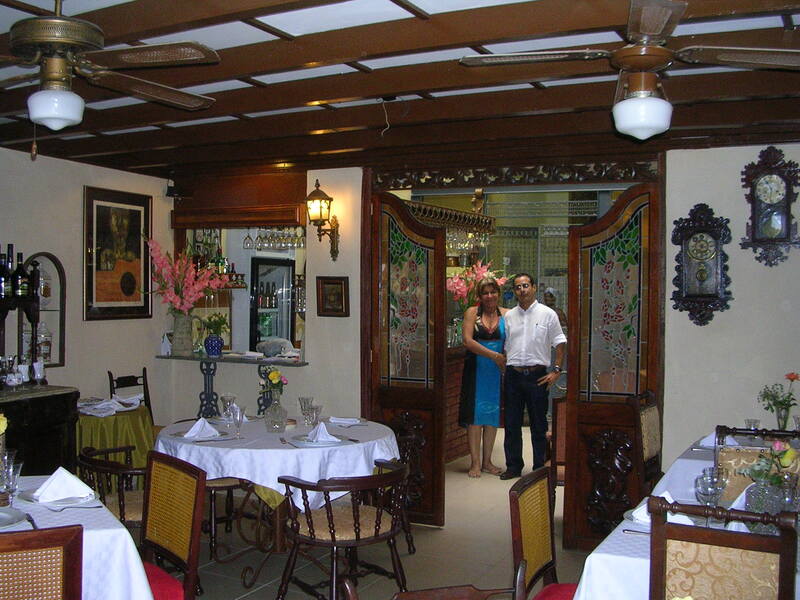 Cubans who run private restaurants known as paladares, for example, will not be able to rent a room in their home to tourists since no citizen can have more than one license for self-employment. “There are workers who have a cafeteria and at the same time have a manicure or car wash license. … That is not possible. In practice, he is an owner who has many businesses, and that is not the essence and the spirit of the TCP [self-employment], which consists of workers exercising their daily activities,” Marta Elena Feitó Cabrera, vice minister for labor and social security, told the official Cubadebate site. About 9,000 people, half in Havana, are affected by the measure, said the official. In addition, all private sector workers must open an account in a state bank to carry out all their business operations. And the boteros, those who work as private taxi drivers, must present receipts to justify all their deductible expenses. Other measures curb the hiring of workers in the private sector, which currently employs 591,456 people, or 13 percent of the country’s workforce. The government also stated it would eliminate the tax exemption for businesses that have up to five employees and would instead impose a sliding scale that increases with each worker hired. It also ordered an increase in the required minimum monthly taxes of businesses in various categories. Government officials quoted by Granma said that the measures will increase tax collection and reduce fraud. But economists have warned that more taxes on hiring employees could dramatically hamper the development of the private sector at a critical moment. A monetary reform — which could bankrupt nearly half of the state companies, potentially leaving thousands unemployed — is expected to happen soon. The new measures also maintain a halt on new licenses for things such as “seller vendor of soap” and “wholesaler of agricultural products,” among others. One significant provision states that those who rent their homes to tourists and nationals may also rent to Cuban or foreign companies but “only for the purpose of lodging.” That would presumably prevent renters from subletting units. The “rearrangement” of self-employment, as the new measures were framed in the official media, reduces licenses by lumping together various elements of one industry while limiting another. For example, while there would be only one license for all beauty services, permits for “gastronomic service in restaurants, gastronomic service in a cafeteria, and bar service and recreation” were separated — meaning that one can own a restaurant but not also a bar. To increase controls, each authorized activity will be under the supervision of a state ministry, in addition to the municipal and provincial government entities, which can intervene to set prices. The level of control reaches such extremes that the Official Gazette published a table with classifications on the quality of public restrooms and the leasing rates that would have to be paid by “public bathroom attendants,” one of the authorized self-employment categories. Some public bathrooms are leased by the state to individuals who then are responsible for upkeep and make their money by charging users a fee. The regulations are the first significant measures announced by the government since Miguel Díaz-Canel was selected as the island’s new president in April. But the proposed regulations had been in the making for months by different government agencies, according to a draft of the measures previously obtained by el Nuevo Herald. The announcement comes just as the Cuban economy is struggling to counter the losses brought by the crisis in Venezuela — its closest ally — and the deterioration of relations with the United States. The new measures could also have a significant impact on the cultural sector. The decree may be used by the Ministry of Culture to increase control over artists and musicians and impose more censorship in the country. Decree 349 of 2018 establishes fines and forfeitures, as well as the possible loss of the self-employment license, to those who hire musicians to perform concerts in private bars and clubs as well as in state-owned venues without the authorization of the Ministry of Culture or the state agencies that provide legal representation to artists and musicians. Many artists in urban genres such as reggaeton and hip-hop, who have been critical of the Cuban government, do not hold state permits to perform in public. However, many usually perform in private businesses or in other venues. Painters or artists who sell their works without state authorization also could be penalized. The international market allows countries with limited internal markets, such as Cuba, to take advantage of economies of scale. That means there is a need to harmonize increases in exports with the substitution of imports. As a result, it is important how leading export items in international trade are supported, while at the same time maintaining the necessary flow to guarantee the import of inputs for that balance. Cuba’s foreign trade sector, which currently maintains trade relations with more than three thousand foreign companies, possesses the characteristics of an open economy. It is thus greatly relevant that trade policy be designed to contribute to a necessary improvement in productivity and to increase economic efficiency. To that end, it is essential that the methods applied match the goals of economic policy. The international environment, the national economic structure and the regulatory framework are factors with notable impact on the performance of foreign trade. In particular, the role of institutions is especially important to the effectiveness of regulations in this sector of the economy. In the Cuban economy, it should be noted, the only entities that import products into the country belong to the state, despite the stated intent of Cuban authorities of having the non-state sector occupy a larger portion of the economy. In Cuba, new Resolutions issued by the General Customs of the Republic (Aduana General de la República or AGR) that took effect on September 1st, 2014 have raised a number of concerns among the Cuban people. The following is a brief overview of this controversial issue. The weakness that currently persists in Cuba’s productivity, such as obsolete technology, insufficient quality, and logistical problems; combined with complexities in the international arena, highlight the urgency to act on domestic conditions and on improving adaptability to external conditions. It is imperative that the new dynamics of the international context and their impact on the country’s economic and social performance be considered in the gradual changes made to the Cuban economic model. The development of trade regulations should not lose sight of the significance of achieving the greatest possible consistency between what is required and what the priorities are for the economy, generally, but for the citizens in particular. The state itself has made it evident that there is a set of activities that should not be administered by the state, but rather in a cooperative way or through the private sector, and it has created the mechanisms to develop it, though in a restricted manner. Thus the question that could be asked of the state is, if these non-state entities create wealth for everyone, why can’t they gain access to inputs through imports that are so necessary for their productivity or services? No doubt the answers they’ll be able to raise are about the lack of foreign currency loans to carry out said imports. Another question could be, why not allow those imports to enter the country with natural persons, and then use the tax system to collect revenue once those services or goods have been provided? These contradictions should lead to reflection on the part of those who formulate policy. In an economy like the Cuban economy, it is vital to increase imports so that they facilitate the creation and growth of national wealth, independent of the type of property involved. That, in turn, will lead to an improvement in everyone’s well-being.